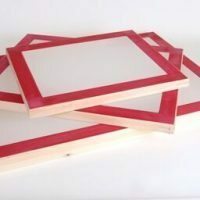 Ready stretched wood screen printing frames made from top quality redwood or finest quality hardwood with mortice & tenon joints. Wood frames ready stretched with swiss polyester mesh. Strong and robust screens. 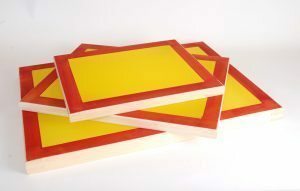 Hardwood Screen Printing Screens made from the finest quality hardwood with mortice and tenon joints. Frames ready stretched with swiss polyester screen printing mesh / fabric. 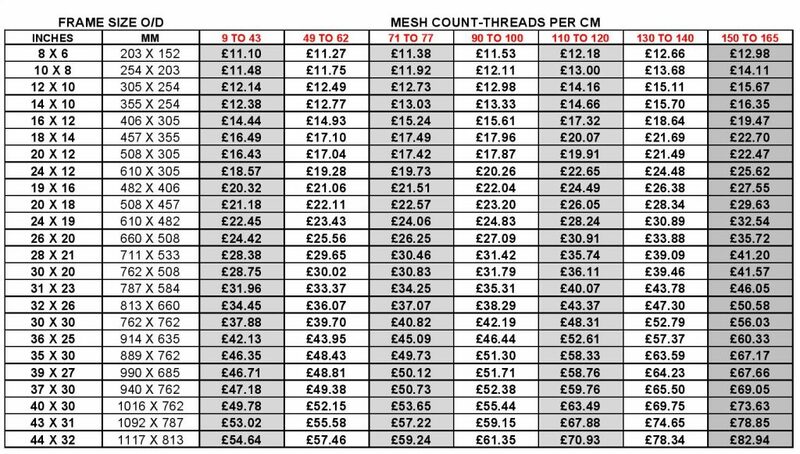 Longer lasting screens. Suitable for all types of screen printing. 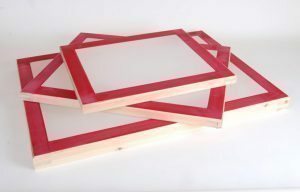 Ready stretched wood screen printing screens made from top quality redwood with mortice & tenon joints. Wood frames stretched with swiss polyester mesh. Strong and robust screens.